12 weeks into the 2018/19 Premier League season, Sergio Aguero leads in the race to be top scorer with eight goals. Unsurprisingly, the Manchester City striker is also favourite in the Premier League betting at 9/4 as a result. Hopefully, you took note of our article less than a month ago tipping the Argentine when he was a more profitable price of 10/3? 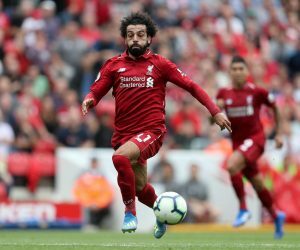 Harry Kane and Mohamed Salah follow Aguero in the betting at 10/3 and 9/2 respectively, but there are some names at much juicier prices that have caught our attention ahead of the market leaders. Both Manchester United’s Anthony Martial and Marko Arnautovic of West Ham are available at 40/1 and are interesting each-way propositions, where you have a winning bet if they finish the campaign among the top three scorers in the division. Could Mohamed Salah repeat last season’s goal-scoring feats and leapfrog Martial and Arnautovic in our odds? Martial played only 175 minutes across Manchester United’s opening seven top-flight outings of the campaign and failed to score. He has now played all barring seven minutes of the Red Devils’ last five league fixtures and rewarded this increase in pitch time with six goals. 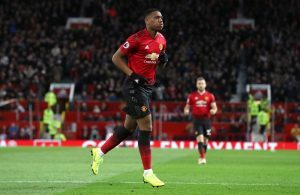 Goals in five successive fixtures obviously prove Martial is bang in form and his return of one every 104 minutes is superior to everyone else to have netted at least four times in the division since the start of the campaign. What’s more, only three players in the Premier League have registered more shots on target than Martial’s nine across the last six matchday’s. Anthony Martial comes into this week of football in red-hot form. One of those three players is Arnautovic, whose 10 attempts on the money across the last six matches is only bettered by Kane. The West Ham striker is currently on five goals for the campaign, so is one adrift of Martial and three behind Aguero. But unlike this pair, the Austrian is much less at risk of rotation heading into a point of the season where the fixtures can begin to stack up, with both Manchester clubs doing battle on the European front, as well as domestically. Furthermore, we are just entering a point of the season where West Ham’s league fixtures are about to take a turn for the better. After entertaining Man City next, the Hammers embark on the following run until mid-January: Newcastle (a), Cardiff (h), Crystal Palace (h), Fulham (a), Watford (h), Southampton (a), Burnley (a) and Brighton (h). This is a run of eight fixtures where it would be no surprise if Arnautovic comes close to scoring a goal a game, especially given he is such an influential cog in the Hammers’ attacking output. Should he convert chances at such a rate in this run, expect his current 40/1 odds to shrink to around a quarter of this price.